There is a war going on over special integrated circuits based on a material called Gallium Nitride. The outcome of the war has dramatic consequences for US national security, and for the ability of the United States to protect key global partners in Europe, the Middle East and Asia. Unfortunately the battle for Gallium Nitride is very complicated, because the material has extensive commercial as well as military applications. But perhaps the single most important use for Gallium Nitride is for detecting stealth aircraft and defeating long range weapons including so-called Beyond Visual Range (BVR) missiles launched from aircraft. Today’s stealth technology optimizes an aircraft, UAV or missile to make it hard to detect by radar, even sophisticated AESA. Most air defense radars, include those on airplanes, are primarily operating on what is called X band. These are radars that operate in the 8 to 12 gigahertz frequency range. Stealthy aircraft are engineered to deflect radar interrogations in this frequency range. 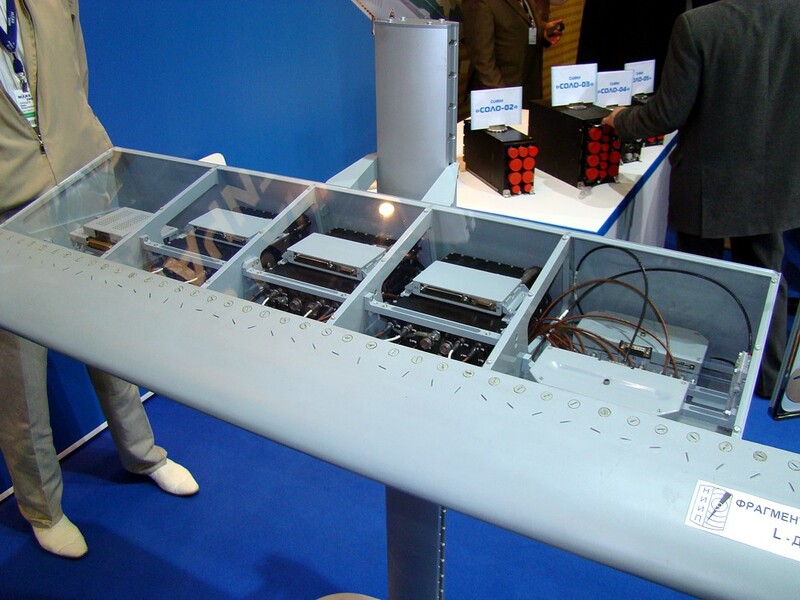 But the Russians are squeezing them in, building L Band detectors into the wings of its latest aircraft, particularly the still-developmental Sukhoi PAK T-50, which is planned to be about as stealthy as the JSF. The L Band radar is in the leading edge of the fighter’s wing. It is an AESA radar that is under development by Tikhomirov NIIP, Russia’s leading radar house located about twenty five miles from Moscow. If the Russians are successful there are potentially dramatic consequences: their newest fighters will be able to detect US stealth aircraft (F-22, F-35), jam their weapons and their radar, and close in for a kill. In short, the Russians could have the potential to blow out the US stealth program. The secret sauce the Russians need to get there are a new generation of Transmit and Receive modules based on Gallium Nitride technology. Top US defense contractors, including Raytheon and Northrop, are deeply involved in Gallium Nitride, as are companies such as Selex in Europe. So, too, are developers elsewhere working the same problem, especially China. China and Russia, while not always comfortable in sharing technology, cooperate. It is a major concern in Washington where a special committee in the Pentagon, known as the Low Observable–Counter Low Observable Committee that monitors stealth and applications that use this technology such as night vision, electro-optical sensors and radars. The Lo-Clo committee is a Tri-Service agency. It recently is said to have intervened to help block the sale to China of a Germany-based company that builds sophisticated coating technology equipment enabling Gallium Nitride military applications. But this is not nearly the only concern. The spread of Gallium Nitride technology is already mostly out of control, because products based on this technology are revolutionary. Gallium Nitride’s main benefit is that transistors and devices made with this material can carry out very rapid switching, at very high power while generating very little heat. Silicon based devices, on the contrary, generate a lot of heat and cannot handle high power without cooling systems. And silicon based devices cannot switch at the speed of Gallium Nitride transistors. Where silicon can work in gigahertz, Gallium Nitride can work in terahertz. This has a huge impact in imaging, sensing and communications, even the ability to rapidly detect explosives or scan persons at airports (in high resolution). 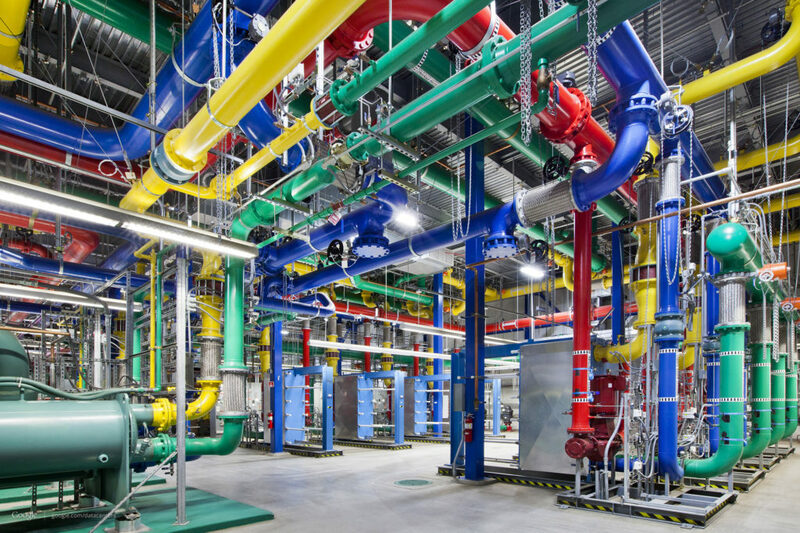 Applied to huge data centers such as those run by Microsoft and Google, that eat up 2% of America’s electrical power, this new technology could cut power use dramatically. It is a transformative technology also for electric cars, making them viable without having to keep pushing the envelope on batteries. New types of electric motors and far better power inverters could change the automotive landscape in the next twenty years. The intersection of commercial and military technology is quite obvious, and the ability to separate them (if such an ability exists at all) is completely unchartered. Thus the Pentagon effort to try and knock off a Chinese purchase of a sensitive company that manufactures enabling technology for Gallium Nitride fabrication, is a small step and, perhaps an inadequate one in taming this new beast. In the real world it may be that much of the technology is already lost. Consider the case, exposed by the Financial Times, of a young engineer named Shane Todd. Todd worked for IME in Singapore. Located in Singapore’s Science Part #2, the Institute of Micro Electronics is a state technology development organization that “aims to enhance the value-add of the microelectronics industry in Singapore by undertaking core R&D in microelectronics, supporting the R&D needs in the industry and developing skilled R&D personnel.” Todd was working on a project to develop a Gallium Nitride based amplifier device “able to withstand extreme heat and power levels.” The IME partner for this project was Huawei. Huawei is a sensitive subject in the US intelligence community. “U.S. lawmakers and regulators have blocked Huawei from three proposed acquisitions and many more partnerships over the past decade.” While Huawei is a big mobile phone provider, the company also manufactures and sells advanced switching equipment and microwave devices. US intelligence also believes it feeds intercepted information to the Chinese military and supports the Chinese military with advanced electronics. Shane Todd was concerned about the work he was doing with IME and Huawei, and the interference he was running with a US Gallium Nitride technology company, sensing that he was violating US national security rules. This, the FT reported,he told his parents who were speaking with Todd over a Skype connection from Singapore. Skype is, as many know, far from secure. Todd also told his parents that he had secured a new job in the United States and was leaving IME. 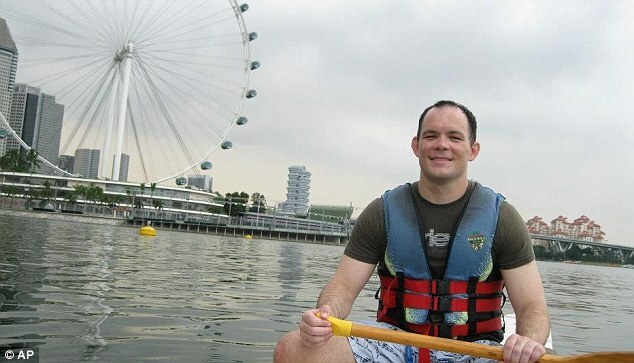 But, in June 2012 (date uncertain) Todd was found dead in his apartment in Singapore. Wikipedia says his death was under “disputed circumstances.” The belated Singapore investigation said that it was a suicide; the parents question that assessment. The US Embassy in Singapore proposed bringing the FBI into the police investigation; the request was refused. The matter of Dr. Shane Todd’s death, and the possible linkages to American companies may still be an open matter as far as the US government is concerned. But the fact that the story is connected to Gallium Nitride and its extreme national security importance, is what makes the story compelling and, at least in the eyes of his family, unresolved. One of the tasks of the incoming Trump administration should be reviewing the protection of American technology, especially Gallium Nitride. We don’t know how much vital information has already gone out of US control, nor do we know how much of the manufacturing equipment has proliferated abroad. Worse yet, given the sloppiness overall of weakly enforced US export controls and the lack of cooperation from Silicon Valley on national security issues means the US may soon face a Gallium Nitride revolution from China. China may preside over the next Gallium Valley. If that happens, as seems to be increasingly likely, the US could lose more than a critical industry; it could face substantial national security risks. I just want to tell you that I’m newbie to blogging and site-building and definitely liked you’re web site. More than likely I’m likely to bookmark your blog . You actually come with remarkable article content. With thanks for sharing with us your blog. Ah Stephen… I should have copied my last reply/message before sending it – I actually thought you had some sense of honor – I’d not have imagined that someone of your background would just trash it and pretend it didn’t happen. I don’t have the time – or respect for the likes of you – to recreate it, but please trust that I’ll posy this again and again, however often you delete it, to expose the hollow thing that you are, over and over each time you delete it. You see Stephen, that is not how truth works. There is accountability. Welcome to facts. I will stand by my comments. I said nothing about IME, just reporting on what the Financial Times said. As for the alleged theft of data, I did not report that –you said it. –	There have been only two incidents in his 31 years of life where Shane sought help for depression and anxiety. One was in 2003, when Shane was at the University of Florida where he worked on his Masters degree, served in the US Air Force, worked as a Resident Assistant (RA), and played rugby. He went on anti-depressant medication. – Mary Todd. (Note: The other incident was a diagnosis of depression in Singapore mere months before Todd’s suicide, a diagnosis for which he had been prescribed anti-depressant medication as treatment). –	The deceased would have known from 29 May 2012 when he accessed the Nuvotronics (prospective U.S. employer) webpage that applicants for the position of a Senior Process Engineer would need to be eligible to pursue security clearance from the US Department of Defense (“DOD Clearance”). –	On 22 June 2012 at 4.04 am (Singapore Standard Time), Ms Kate de Gastyne (“Kate”) from Nuvotronics emailed the deceased asking him if he currently held any level of active DOD Clearance, or if he was eligible to pursue such clearance. So, while the world may never know what happened to Shane Todd, a Ludlum-esque conspiracy theory under which some nefarious third party knew of Todd’s past history of depression, as well as his discharge from whatever military service his mother spoke of, as well as his prospective new employer and, moreover, his need to secure a U.S. Government security clearance, as well as the fact the fact that his prospective employer was pressing him to deliver on that clearance, is an absurdly long stretch. That he became despondent due to a his perception of his inability to qualify for the U.S. government security clearance required by his prospective employer (due to his history of depression, or whatever transpired during the military experience his mother referenced – all the more so for having already given notice to and stolen reams and reams of data from his current employer on his last day at work, as well as having broadcast to his family and friends his imminent homecoming, seems far more likely than the cloak-and-dagger scenarios being otherwise promoted. Hopefully the Todds, at some point, will find peace. I am posting this even though it is not signed because it represents a counter argument. I have many, many problems with it. Here are a few. The one point you make that jumped out at me was the Mr. Todd “having already given notice and stolen reams of data from his current employer on his last day of work” and “having broadcast to his family and friends his imminent homecoming” seems to be inconsistent with someone planning to commit suicide. In fact it seems like someone who intends to make a case against his employer on his return home, perhaps to the authorities. Also I don’t see any reason he would not be granted a security clearance, although the connection with Huawei would surely cause him trouble. And I am far from clear that he got a dishonorable discharge as seems implied in what you have written but without any evidence. Finally there is no concrete evidence he would not have been granted a security clearance, and it seems he had not even applied for one. The argument “that he became despondent due to his perception of his inability to qualify” is an unproven and unsubstantiated allegation. People who have security clearance issues typically get professional legal advice –they don’t hang themselves. Anyway he could have found an alternative job that did not require any clearance. He was surely very talented, so much of this looks more like smoke than anything else. Neither you nor I know what actually happened. But the story you presented is equally flawed. 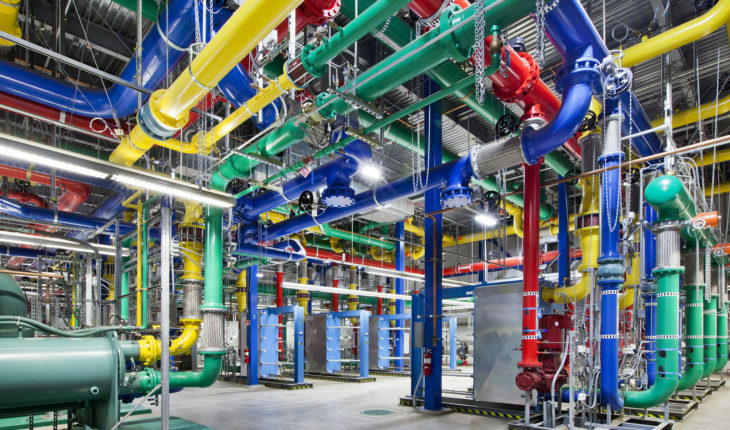 There is little reason to believe that a multi-billion dollar multinational corporation or a major national research organization would have any involvement with the demise of an engineer related to a technology that, according to a simple Google Patents search, produces over 800,000 results from around the globe. The suggestion exceeds absurd, indeed, it defines, in your words, an “unproven and unsubstantiated allegation.” I cannot imagine why there were multiple Internet searches focused on the security clearance demanded for the prospective job (and cannot believe that such was the result of some clever manipulator creating a back-story during the time the PC was not analyzed, given all of the disperse variables), other than that the clearance seems not to have been realized, which would likely have been of significant concern to Todd. How that connects to the wealth of searches he made on suicide is also unclear. You are correct in saying that so much of this looks more like smoke than anything else, from any – any – perspective. My point was to say that your narrative – and the narrative of the justifiably grieving family – are no more realistic, indeed, perhaps less realistic, than the possible alternatives. For what it may be worth, I would also suggest that you not diminish the massive illegal theft of data that occurred, over many hours, prior to Todd’s demise – this is not a trivial thing, it would be equivalent to a departing foreign national employee attempting to drain DARPA before leaving the U.S. He would have known this, and may have instantly regretted it. In any event, I appreciate your response, and your considering that there are, indeed, other possible scenarios. I simply could not leave your web site before suggesting that I actually loved the usual information a person supply to your visitors? Is going to be back incessantly in order to check up on new posts. I believe that my grandson, Dr. Shane Truman Todd, lost his life defending this country just as though he were serving in our armed forces . When I visit his burial site on Veterans’ Day, I place an American flag there in honor of his service. Jean Boyd Todd, Ph. D.
I am so sorry for your loss. I truly hope our government will take action to defend America, like your grandson did. Thank you for looking into this situation regarding Shane Todd. The investigation to conclude suicide was a total sham enabled by the US Embassy and other higher ups in the FBI, the State Department and the National Security Council. It is telling that the highest levels of the Singapore government moved immediately to sweep this under the rug denying US investigators access to all the information in a timely manner. When the FBI was belatedly provided information it was not shared with the Todd family. Even today after numerous FOIA filings the State Department and others refuse to provide proper access to the files regarding Shane Todd due to national security concerns. In fact there are two Americans running the IME who overtly tried to suppress the proper investigation following his death. I hope you will help the family and take up their cause regarding the truth about their son’s death. Thank you for the additional information. I will try and be as helpful as I can. The central question is why the government is so reluctant and obstructive to providing transparency to the family and why the US Ambassador at the time in the Rmbassy was so quick to support such an obviously flawed investigation. I wrote a 20,000 word analysis which shredded the coroners report and not one word was disputed or even challenged. The Coroners Report was as great a whitewash as I have ever seen and the US government was and continues to be complicit.